From a series of telegraph communications between United States Army officers in the field and their commanding generals, published in the 1900 report1 of General Elwell Stephen Otis, Military Governor of the Philippines, we are able to piece together the fighting that went on in the town of Santo Tomas, Batangas in January of 1900. 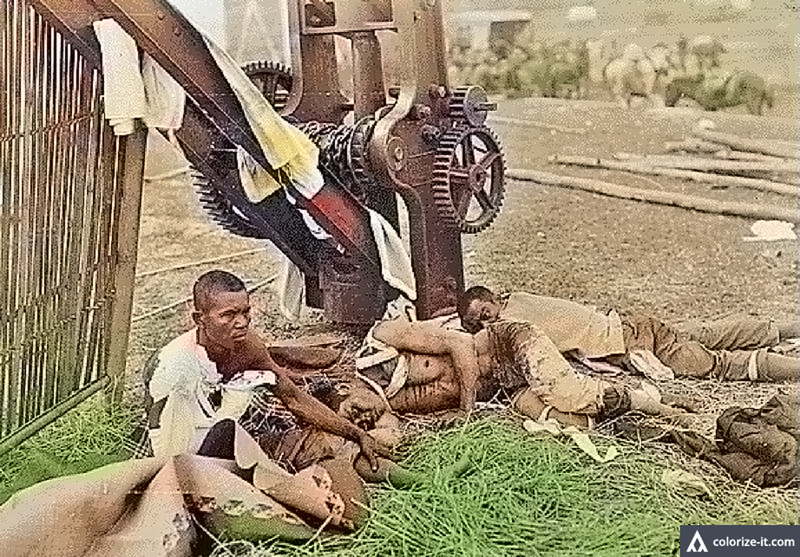 The Philippine–American War broke out on 4 February 1899, so this was almost a year into the conflict. Because the source document is of American origin, it goes without saying that we are able to obtain more details of the fighting from the American point of view. 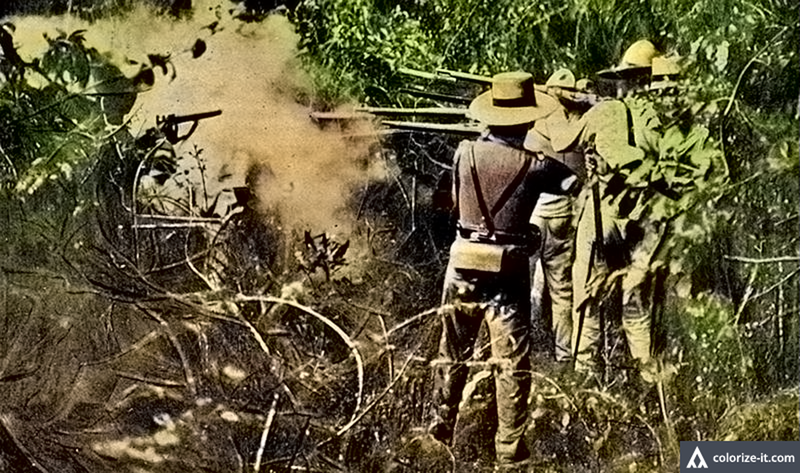 An exchange of communications on 10 January 1900 between General Thomas Henry Barry, of the Adjutant–General’s Office, and General John C. Bates in the field, provides a wealth of details about the encounters in Calamba and Santo Tomas. A Colonel Robert L. Bullard, commander of the 39th Infantry, had earlier sent in a report to the former stating that he had engaged Filipino “insurgents” in a “very handsome fight” in which 74 Filipinos were killed and wounded while in the American side, only one was killed and two were wounded. Because of this victory, Bullard and his troops were able to take possession of the town of Santo Tomas as well. Filipinos who escaped from the fight and others defeated in Cavite were expected to reassemble in the town of Talisay or reach the mountainous coastal area of Batangas, likely Nasugbu. As many as nine or ten “organized companies2” had been driven from Santo Tomas into Taal Lake. On 11 January, Bullard sent word to Barry that Filipino troops engaged a group of 106 soldiers from the 37th Infantry under the command of one Major Cheatham “2 or 3 miles west of Santo Tomas.” The Filipinos were driven away when artillery was used. In all, there was a total of 600 American soldiers stationed in the town after its capture two days before. Meanwhile, Bates gave the order to the 38th Infantry under on Colonel Anderson to proceed to Talisay “and attack the enemy wherever found.” An entire regiment – 1,000 to 2,000 men, depending on the country3 – left Silang for the lakeside town with four guns (cannons). Wounded Filipino soldiers during the Fil-American War. Image source: the Greely Collection at the United States National Archives. Once in the safety of their homes, the Filipino fighters “concealed their rifles and assumed the role of ‘amigo.’ ” That is, they blended right into the landscape and pretended to be natives receptive to the presence of the Americans. Once Santo Tomas had been secured, Bullard’s 39th Infantry, joined by the 38th which had been ordered to support it, with their wagon trains and guns rode south through Tanauan and on to Lipa in their drive to start taking control of the towns of Batangas. 1 “Report of Major General E. S. Otis, United States Army, Commanding Division of the Philippines, Military Governor,” published 1900 in Washington D.C.
2 A company was, depending on the country, anything from 80–150 soldiers and was commanded either by a major or a captain. Wikipedia. 3 “Army Units & Sizes,” online at Second World War.